A half hourly meter is a type of electricity meter that measures how much energy is used every 30 minutes and reports the reading back to your supplier. In a way, a half hourly meter is similar to a smart meter; it’s just not as high-tech. Using a half hourly meter can reduce your electricity costs because your billing will no longer be based on estimates. The more accurate your meter readings, the more precise your bill will be. You may already have a half hourly meter that you are unaware of. If the number in the top left box is “00” then you already have a half hourly meter for your premises. Who can get access to half hourly electricity prices? High-end energy users who require a lot of electricity are more likely to have been placed on a half hourly electricity meter. Half hourly meters are compulsory in businesses that use 100kW or more during any 30-minute period. Companies that are likely to use this amount of electricity consist of large offices, factories and businesses that operate 24/7. Those that use 70kW plus can also request to have a half hourly meter installed in their business. How do half hourly meters work? Half hourly meter prices are calculated more accurately than in conventional billing because there is a lot more useful information available. As the name suggests, this type of meter will feedback your readings to your electricity supplier every half hour. This means that your supplier gets a more concise image of what you are using and when so they are able to send you bills that are based on your real usage as opposed to estimates. Why are half hourly meters useful? Half hourly meters capture a lot more information than their less technical counterparts. From your half hourly meter readings, you will also be able to see when you are using the most energy, then investigate why this is the case. You then have to option put energy saving measures into place so that you can reduce your consumption as well as your costs. The fact that meter readings are taken automatically also saves you the time and stress of having to feed your readings back to a supplier yourself, meaning you have more time to focus on what is important to you – Your business! In April 2017, energy watchdog OFGEM introduced regulations that meant more energy users would have access to tailored half hourly billing. These changes affected energy consumers in meter profile classes 05, 06, 07 or 08. Are half hourly meters a cheaper option for my business electricity? As these meters are tailored to the needs of each business that they reside in, half hourly metering often works out as a much cheaper option for businesses with large premises or high energy use. This is because more information is available to your supplier, so they are able to base half hourly meter billing on your actual usage. How do you get a half hourly meter? To find the best half hourly meter prices, we recommend comparing the offerings of the electricity suppliers that are available to you. This will help you to assess which energy provider has the best options and prices for your business. The best way to get an impartial view of the market is to use an unbiased half-hourly meter comparison service. 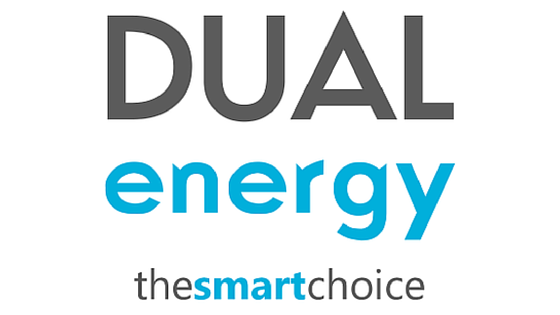 At Exchange Utility, we have a team that specialises in assisting high-end energy users to cut their costs through smart energy management advice and metering solutions. Our FIVE STAR service will not leave you in the dark. You can view some fantastic examples of where we’ve helped businesses like yours to save a small fortune through intelligent energy management here.